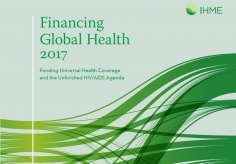 On Wednesday, April 18 from 12:00-1:30pm ET, the CSIS Global Health Policy Center and the Kaiser Family Foundation will co-host a discussion on the current state of financing for the global HIV/AIDS pandemic. 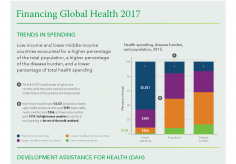 The event will also serve as the launch of the University of Washington’s Institute for Health Metrics and Evaluation (IHME)’s Financing Global Health 2017 annual report and an updated IHME interactive data visualization resource. 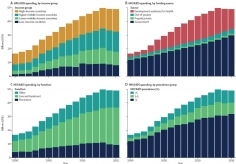 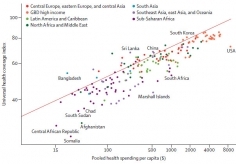 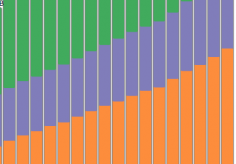 IHME’s latest analysis of global health financing trends features a special focus on the past 20 years of global spending on HIV/AIDS across 188 countries, raising questions about the current state of HIV/AIDS financing amidst the present policy landscape. 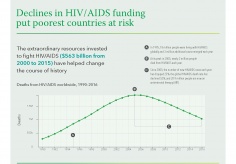 Christopher Murray, IHME Director, will present new findings on financing for global health from IHME’s latest report and two new articles in The Lancet, followed by a discussion with panelists including Dr. Murray; Jennifer Kates, Vice President and Director of Global Health and HIV Policy, Kaiser Family Foundation; and Mark Dybul, Professor and Faculty Co-Director, Center for Global Health and Quality, Georgetown University Medical School. 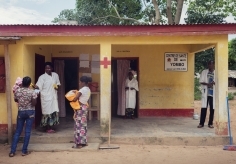 J. Stephen Morrison, Senior Vice President and Director of CSIS Global Health Policy Center will moderate.